Morning free after breakfast transfer to Domestic Airport to board the flight for Guwahati. On arrival at the Guwahati airport you will be welcomed by our representative & transfer to hotel. Overnight stay at Guwahati. Morning at leisure after breakfast drive to Bhalukpong covering a distance of 250 kms / 06 hrs drive, On arrival check into the hotel or Camp near the angling spot. Dinner & overnight stay at Bhalukpong. Whole day angling at Bhalukpong, Tipi & Sessa. This 15 kms of stretch of Kameng River offers a great opportunity for anglers to catch variety of fishes. Overnight stay at Bhalukpong. Another Whole day is for angling at Bhalukpong. Overnight stay at Bhalukpong. Bhalukpong is widely popular as nature’s paradise. 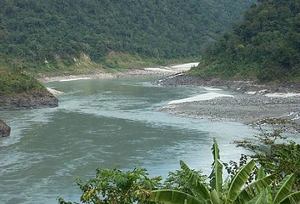 Bhalukpong is a situated in West Kameng District in the state of Arunachal Pradesh, India along with the Kameng River. Bhalukpong is a compelling place for wildlife enthusiasts, nature lovers & and Anglers. Morning another season for fishing & angling. Return to the camp for breakfast. After breakfast drive to Itanagar covering a distance of 220 kms. On arrival at Itanagar check-in to the hotel. Overnight stay at the hotel. Morning at leisure after breakfast drive to Pasighat which is approx 300 kms from Itanagar. On arrival check-in to the hotel. Overnight stay at the Hotel. Early in the morning drive for Boleng - Pangin and check into the camp near the Angling spot. After lunch enjoy half day angling. Dinner & Overnight stay at the camp. Whole day angling at Boleng - Pagin - Yembung (45 kms Stretch). Overnight stay at Yembung. Early morning drive to Pasighat. 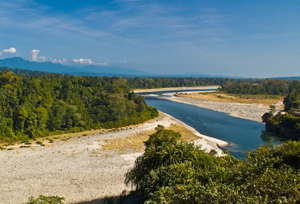 Cross the river Brahmaputra by ferry and arrive at Dibrugarh. Check-in & Overnight stay at the hotel in Dibrugarh. Morning at leisure after breakfast in time transfer to Airport to board the flight for Delhi. On arrival in Delhi meet with the representative & transfer to the hotel for overnight stay.